New Arrivals : Short-Sleeve T-shirt / Eau De Toilette Spray. Duly the fine shirt shop. Duly is an exclusive ready made & made to measure English style gentlemen shirt maker. 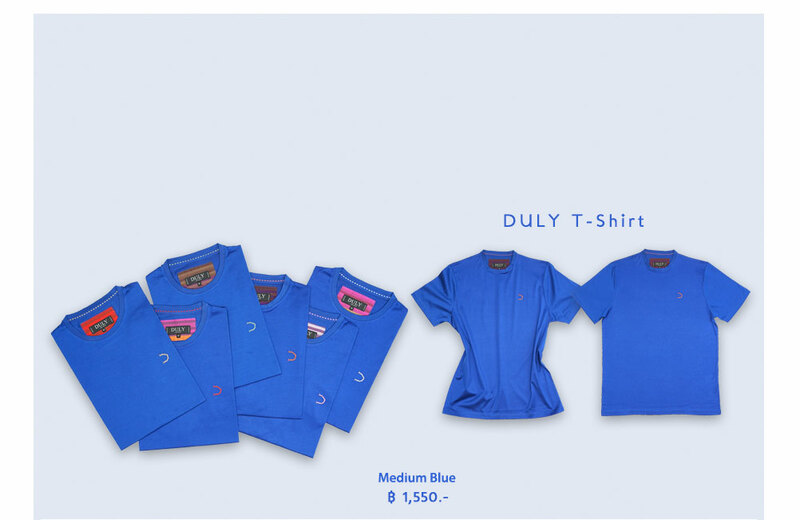 DULY's short-sleeve T-Shirts are introduced by the finest cotton to bring softest and silky touch. summer shorts or chinos. Come in 4 colors: medium blue, violet, smoke grey and olive green. DULY carefully selects the finest raw materials from European continent. The made of DULY Eau de toilette spray is filled with classic English style with the balance of a contemporary touch. DULY EDT spray container is easy to use and is light but durable, which suits a portable purpose. Comes with 4 fragrances, Gentleman, Sensuous, Amorous and Prudent. Note: Our body contains warm temperature where the body will be enhanced if spray directly onto your body.